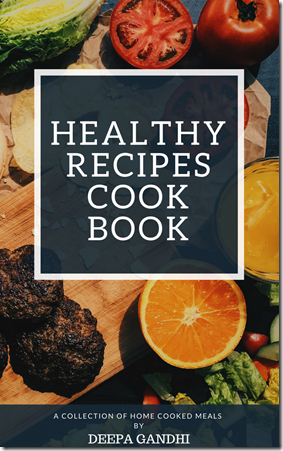 Healthy Recipes Cook Book - A Rose Is A Rose Is A Rose! You want to cook and eat healthy. Right!? But does the word Healthy seems to be synonymous with Boring in your head? If that’s a yes, then it’s time to turn to Healthy Recipes Cook Book by Deepa Gandhi for a dose of inspiration. So, whether you are looking to shed a few kilos or want to increase the fruit and veggie intake of your kids or just want to get the whole family eating healthy and well, this book should cover it all. There are 18 recipes in this book which have easy-to-find ingredients with simple steps to follow. There’s a healthy mix of starters, snacks, main course dishes and desserts. I liked that there’s balanced advice / information about the key ingredients and tips and notes about replacing / adding few ingredients. Dhokla with a twist – It is made using idli batter. I have never tried this version and it sounds and looks so interesting. Kale grilled sandwich – I have had this version of sandwich when traveling but have never made at home. Lemon cranberry mocktail – All the ingredients are right there in my fridge, and I never made this healthy drink. Oats beetroot dosa – My love for dosa is legendry and now I can try a different and colorful version with beetroots which we usually eat as salad. Whole wheat banana bread – Because it is a favorite at home. What I like about this book is that these are the recipes that will fit any lifestyle. Also the realistic advice and the information with a healthy twist to the various recipes will impress all in the family. Go on and check this Healthy Recipes Cook Book and start cooking. Believe me, healthy recipes will not be boring again, ever! Dhokla with a twist sounds interesting particularly since I love dhoklas. Quite a few original recipes here!! 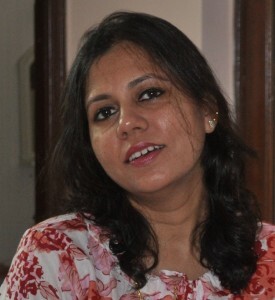 I had heard about Deepa’s ebook, though didn’t get the opportunity to read it. Looks like a neat book. Thanks for the review. will check it out. Interesting healthy recipes. Thanks for sharing. Thanks a lot, Shilpa for reading all my posts related to the recipes and also for this wonderful review. Glad you liked the book.